What Are the Benefits of Soft Drinks? Caffeine is a stimulant that is found in soft drinks. It large amounts can have detrimental effects on your health but it also has numerous benefits. Caffeine stimulates your central nervous system, helps breakdown fatty acids in your liver, boost your mood and alleviate headaches. People who regularly ingest caffeine are less likely to develop Parkinson's disease, colon cancer, gallstones, and cirrhosis of the liver. Carbonated water is a primary ingredient of soft drinks. Carbonated water was created by Joseph Priestly in the year 1767 and has since proven to have many benefits for the gastrointestinal tract. Carbonated water eases stomachaches, quells nausea and has been proven to alleviate constipation. Sodium is another product found in soft drinks. Sodium is an important mineral found in almost all natural foods. Sodium helps your body retain water, helps avoid and treat muscle cramps, keeps electrolyte balance, prevents the effects of aging of your skin and prevents your the drop of your blood pressure. Regardless of the few benefits that soft drinks may deliver, you need to be aware of the risks that go along with their consumption. 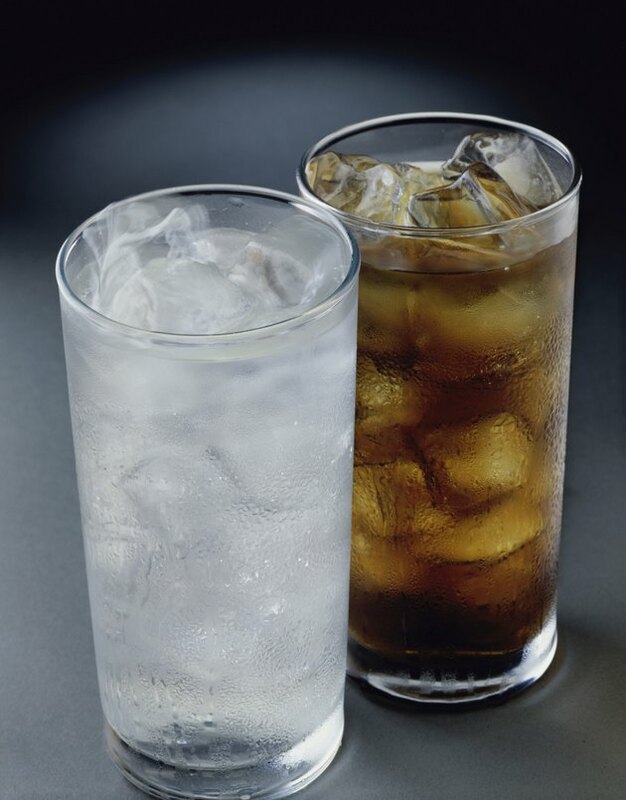 A report in the November 2013 issue of the "American Journal of Public Health" states that the average person drinks 11 gallons of soft drink per year. With that consumption comes the increased risk of excess weight, obesity and diabetes. There is an even greater risk of health problems if you drink diet soft drinks, according to the September 2012 issue of the "Journal of General Internal Medicine." If you drink diet soda you not only run the risk of obesity and diabetes, but you also increase your chances of developing heart disease and having a heart attack or stroke. If you still wish to consume soft drinks, do so in moderation. How Many Calories Does a Bud Light Have?